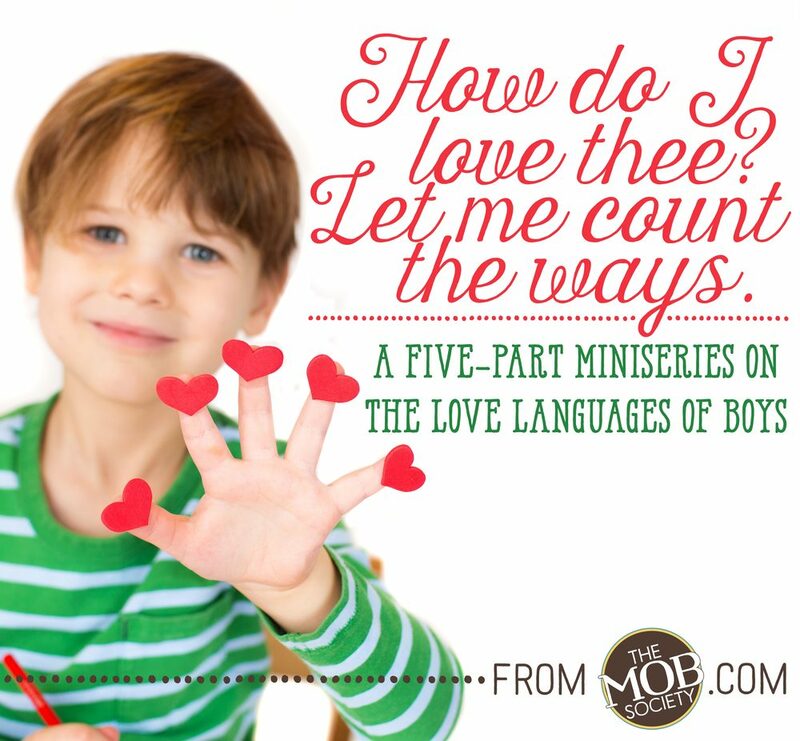 Sometimes, connecting with our boys and finding the way to their hearts can feel a bit like shouting through a fuzzy phone line at someone who speaks another language entirely. It doesn’t matter what we say or do — the message isn’t getting through and both parties feel frazzled, frustrated, and are ready to give up. It doesn’t matter what we’re trying to accomplish in our parenting, what battle we’re facing, what truth we’re trying to impart, or what transition we’re walking through…everything comes down to how we love our boys. When we teach and guide them — it must be rooted in love. When we protect and guard them — it must be rooted in love. When we correct and discipline them — it must be rooted in love. When we release and send them — it must be rooted in love. But in order to parent from this place of love, we need to understand how our boys best receive love. 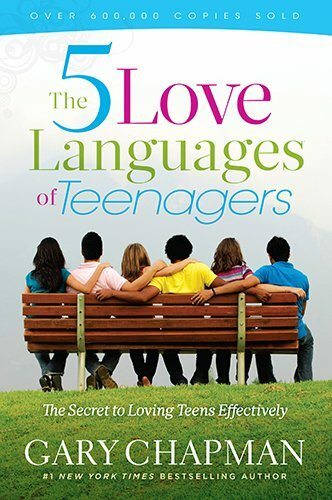 For the next few weeks, we’re going to turn to the classic model of the five main love languages as developed by Gary Chapman to help narrow our focus and discover the best ways to speak each love language. 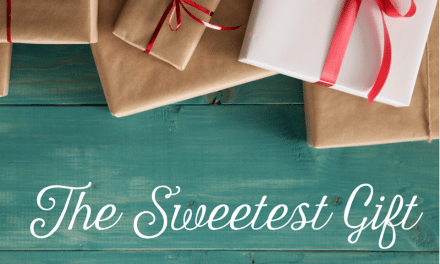 For those who are unfamiliar with the structure of the five love languages, we’ll dive more in depth in each article of the series — but, looking ahead, we’ll be tackling Physical Touch, Quality Time, Words of Affirmation, Acts of Service, and Gifts. Recently, we surveyed our BoyMom community on Facebook and asked them what they believed their boys’ main love languages were — while some said that food and wrestling were the ways to their boys’ hearts, you can take a look at the chart below to see the breakdown of our findings. Finally, we’ve crafted this special FREE printable worksheet specifically for this miniseries! Print it out and keep it handy as you read through the articles. As we define and walk through each love language, you’ll learn how recognize which one is your son’s main way of giving and receiving love. 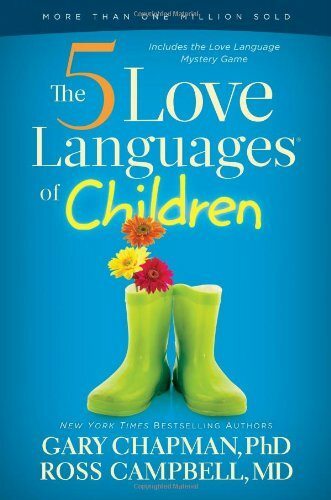 Similarly, we’ll equip you with highly practical examples and resources to help you speak his language and give him the strong foundation of love he needs. This printable can help you track all of that information in one handy spot. NextThe MOB Society Mug is Here!